Add your Twitter handle to your profile! Help me (and everybody else) find you there. Friends, bloggers, community members! 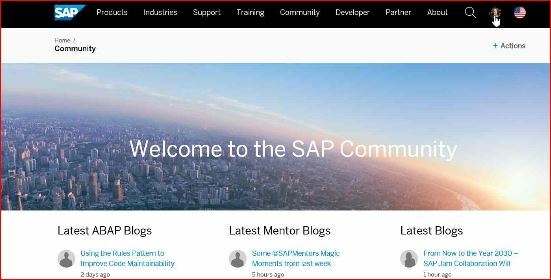 I manage the community topic page for SAP Cloud Platform. 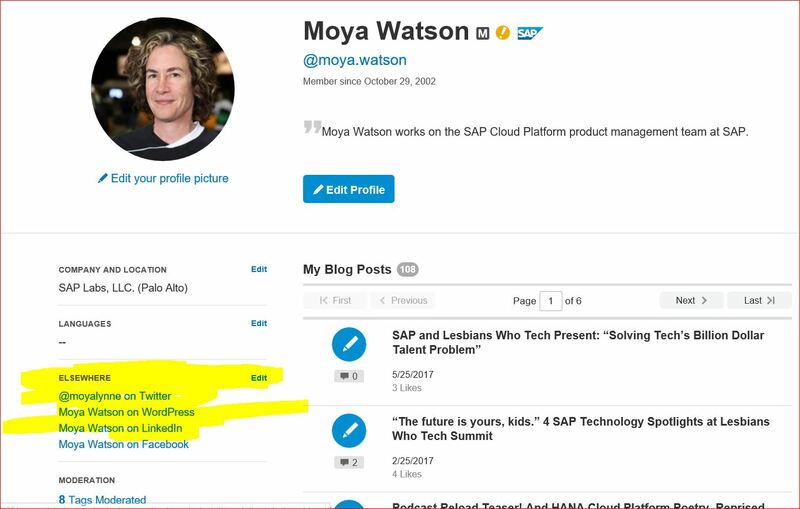 In tandem with that and in order to spread the word about good community content there, I tweet out links to blogs that are relevant to our audience via our Twitter handle @sapcp. 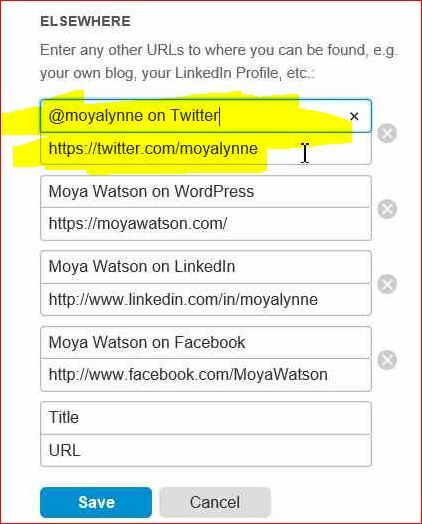 Whenever I do that, I look to see if there is a Twitter handle listed in the blogger’s SAP profile so I can include in the tweet — which there usually isn’t! Then I’ll go to Twitter and search for the user by name — which often turns up an active account indeed. You want to be there with all the hungry masses on Twitter when people are talking about your blog post! So why not let people know your Twitter handle on your SAP profile? 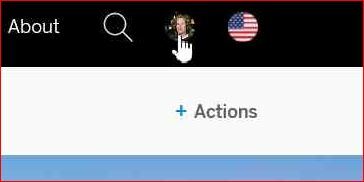 Perhaps there are other places that have implored you to do this already and maybe some better written guides, but this can be another reminder for you to add other links and other information to your profile on sap.com so that we can all be better in touch with your digital self. And that’s it. Now go and write a blog about what you’re working on and share it with all of us via Twitter! Thanks for being part of the community. Great idea to highlight this feature, Moya. I moved to Australia two years ago and Twitter has been a great way to work out ‘who’s who in the zoo’. Sure, not everyone uses it, but many of the mentors, and the influential do use it. Often I read a good blog and I want to give the author a ‘shout out’ in a tweet only to realise that I don’t know their Twitter handle. Thanks Mike! And if I’m not mistaken, in the Olden Days, a blog integration automatically appended an author’s Twitter handle to the blog post ‘tweet this’ text. I know WordPress has this sort of integration so I’m hoping we can bring back a dedicated Twitter field in the profile so that we can send out that “@-mention” automatically again. The conversation might not be happening in blog comments but might be happening on Twitter. perhaps can you provide new screenshots to reflect recent changes done in people profiles? Good idea Martin — thanks. I’m actually not part of the community team and haven’t tried editing the profile since the last update due to failing bandwidth… perhaps Jamie Cantrell or someone else on the team can point us to someone who can give us a more recent how-to? I can probably post something about that in the next week or two. It’s something I’ve been thinking about doing anyway.